Cadinene is the primary component of many essential oils. A particular product associated with the compound is juniper tar (also known as cade oil) which has been used as a natural remedy for various hair and skin disorders. This essential oil is distilled from the branches and the wood of the Cade juniper (Juniperus oxycedrus). The compound appears as an oily liquid with a characteristic odor. While cadinene usually is associated with essential oils, it is an isotope that has various physical properties. Its most known form, the essential oil, has the active ingredient beta-cadinene (b-cadinene), which appears as a colorless, viscous oil and is described to have a pleasant odor. 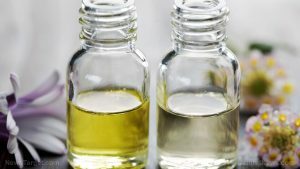 The compound is not soluble in water, but it can be dissolved in alcohol, acetone, petroleum ether, and hot chloroform. As an organic compound, b-cadinene in a variety of forms – it can be used as a surfactant or an emulsifier. Beta-cadinene, as a component in juniper tar, is a topical medication for skin disorders like eczema, psoriasis, scabies, and skin breakouts. It is also used to address hair fall, dandruff, and damaged hair. Cadinene isomers are used as a flavoring agent and modifier. The Food and Drug Administration (FDA) allows the use of cadinene as a synthetic flavoring substance and adjuvant. However, it should be noted that juniper berries (Juniperus communis), and not juniper tar, are classified as “generally recognized as safe” (GRAS) by the FDA. When used as a fragrance, the chemical emits a strong woody aroma and is used as a perfuming agent. Beta-cadinene in essential oils such as juniper tar can irritate the mucous membrane when inhaled. Experts also believe that it can also cause numbness in the mucous membrane and trigger dermal and gastrointestinal irritation. If the eyes are exposed to beta-cadinene, it can lead to irritation, redness in the eyes (erythema), pain, chemical conjunctivitis, and corneal scarring in severe cases. Chronic cases of cadinene exposure may include vertigo, lack of voluntary muscle control (ataxia), drowsiness, seizures, and coma. If inhaled, it may cause severe inflammation of lung tissue (pneumonitis). In extreme cases, it can lead to a very slow heart rate (bradycardia) and hypertension. In vivo studies have also found out that beta-cadinene from junipers can lead to complications during pregnancy – some cases include resorption (where cells are absorbed back into the circulatory system) and termination. There is also a risk of poisoning for beta-cadinene in juniper tar. A newborn with signs of atopic dermatitis was given a topical application cade oil, which led to convulsions, instances of water in the lungs (pulmonary edema), and renal failure. In another case, an adult man who drank a spoonful of juniper tar suffered from fever, abnormally low blood pressure (hypotension), and burns in the face. Both cases had no fatalities and were released in good health after medical treatment. Cadinene poses adverse effects to skin when it is applied as a topical agent. Moreover, it can also lead to poisoning when ingested and can affect with pregnancy. Cadinene is chemical that is used in a variety of ways – from essential oils to food additives. However, it poses a significant risk when it is ingested or applied to the skin, and can even interfere with the healthy pregnancy of a child.